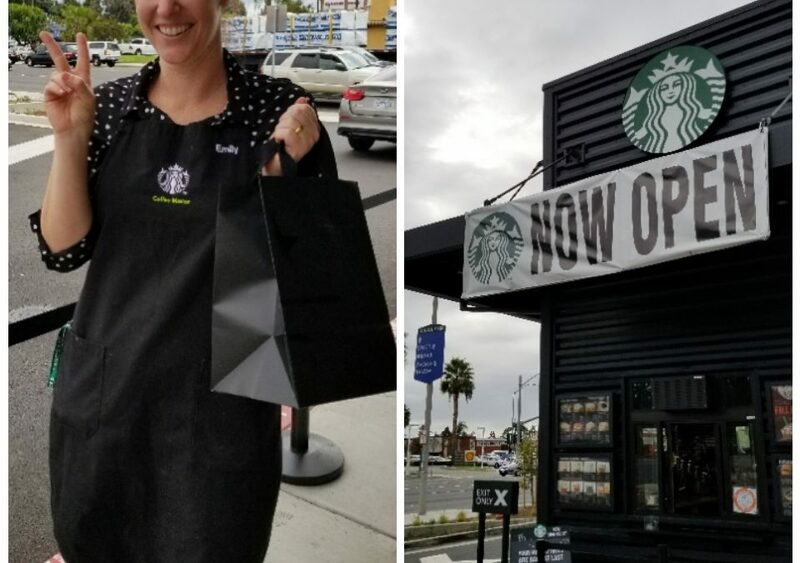 I always love celebrating new Starbucks stores! 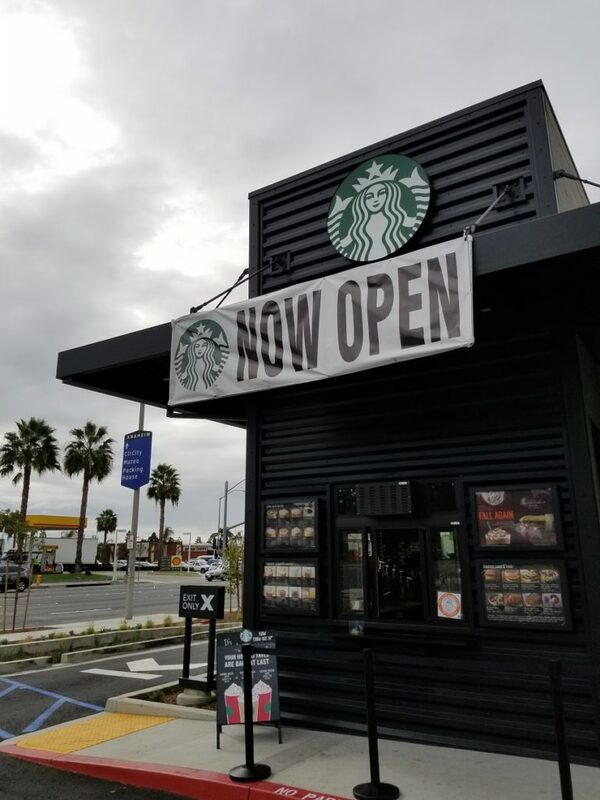 On October 9th, Starbucks opened up a new drive-thru only store in Anaheim. It’s on the corner of Ball Road and State College Road, which is a busy intersection. I have a feeling this store is going to take off! 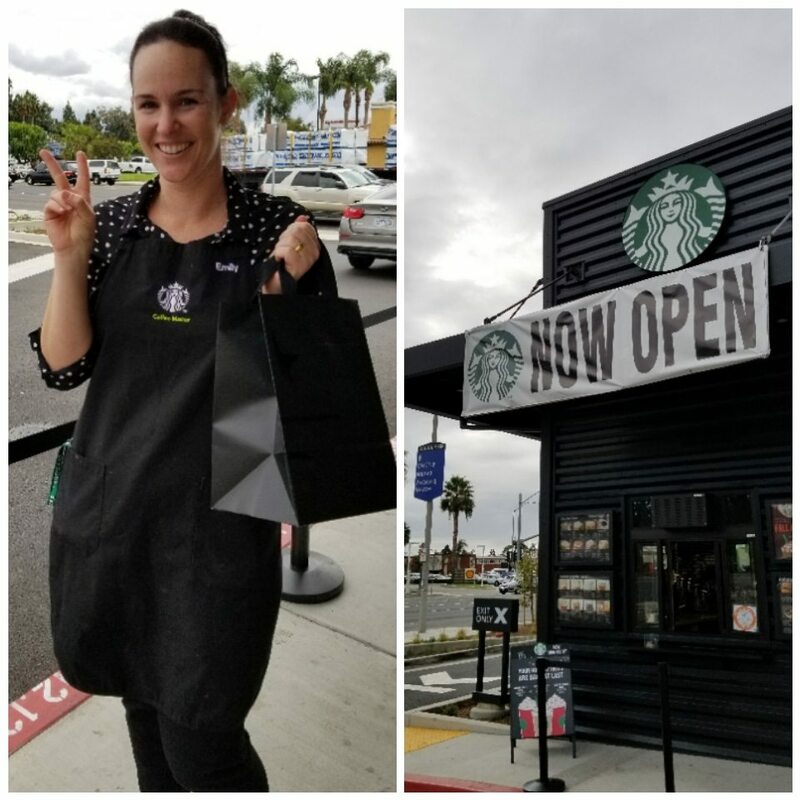 The store manager is Emily D. who has been a partner over a decade, and proudly wears the Starbucks black apron, signifying that she is a coffee master. We had a great conversation and it turns out we’re both fans of the hard-to-find Whiskey Barrel-Aged Sulawesi coffee. This new store is a drive-thru with a walk-up window but there’s no cafe or seating. The core store is and always will be the backbone of the company. 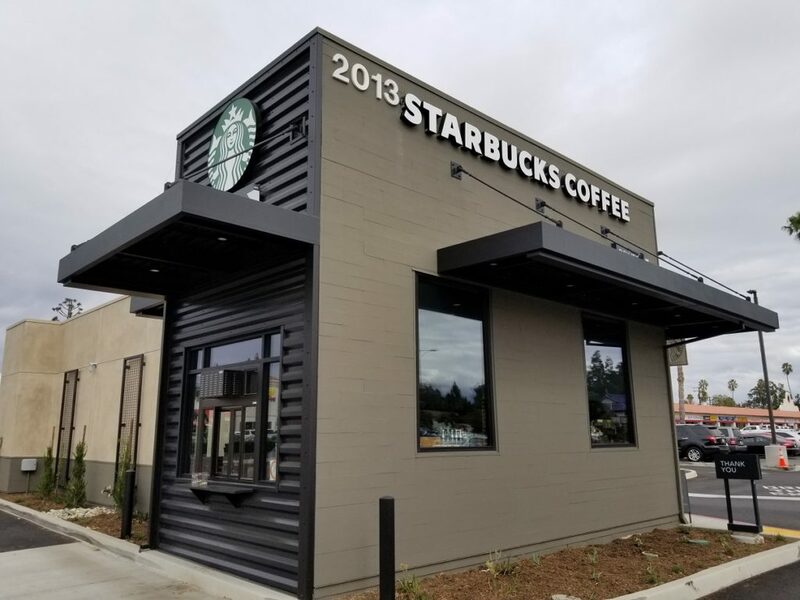 When there were fewer Starbucks stores, each opening was celebrated with great fanfare. And I’ve heard a story told about Howard Schultz speaking with another executive about how many Starbucks stores there are. Apparently, the lore goes something like this: Howard said to the other person, “Can you believe how many Starbucks stores we’ve opened? There are 5000!” (Or whatever the number was.) And the person replied, “No Howard we haven’t opened up 5000 stores. We’ve opened up one store 5000 times.” I think this is a story that I heard at a shareholder’s meeting once. In essence, each new store is an embodiment and a re-opening of 1912 Pike Place. Coming soon: A brand new Starbucks store with a really big heart!